Steve Carell takes J.B. Smoove for a wild ride in Date Night. Jimmi Simpson and Common are two thugs in hot pursuit of the Fosters in Date Night. Whippit (Mila Kunis) and Taste (James Franco), and extra-horny couple, are just two people the Fosters encounter on their wild Date Night. Phil Foster (Steve Carell) and Claire Foster (Tina Fey) just wanted a romantic night out, but they get anything but in Date Night. Steve Carell and Tina Fey duck for cover in Date Night. Leighton Meester plays Katy in Date Night. 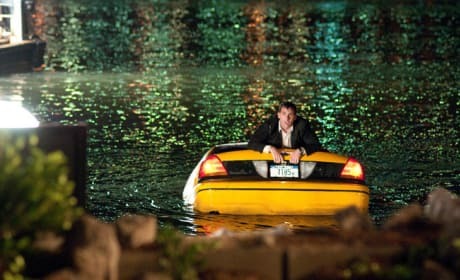 Steve Carell crawls out the back window of a taxi cab... that is sinking into the Hudson River in a ridiculous scene from Date Night. 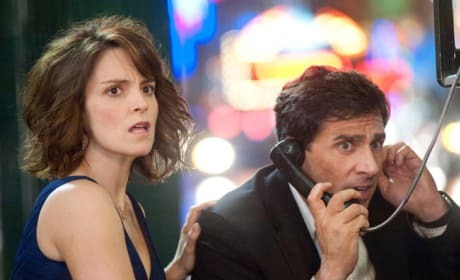 Steve Carell and Tina Fey make use of a public telephone in Date Night. Steve Carell and Tina Fey look worn out as they ride the NYC subway in Date Night. 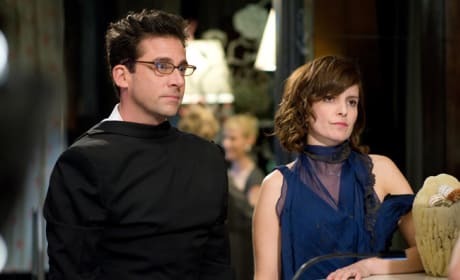 Steve Carrell and Tina Fey wear their clothes backwards in a funny scene from Date night.